Review: Washington DC's Peoples Potential Unlimited are back, following up some great reissues of Circuitry, Dreamcast and Incredible Rock City Band. Now back into swing with obscure act Fool Bros. said to be from the Baltimore area. The group comprised of bandleader and veteran producer Victor Giordano with David Lewis. Other Members included Sam Kirckhoff, Geoff Royce, Richard Armiger, Ralph Tucker and Guy (Yug) Phillips. Said to be recorded in 1983, we have the original private release that is the awesome, low-slung soul rock of "Suicide Squeeze", which is backed by Giordano's updated 2018 recording. Review: The first in a new series of split 12 inch releases from the Peoples Potential Unlimited camp, with both sides containing some exceptional 80s boogie action. The piano heavy croon of Hill's ''Delicate Rose'' features on the A Side due to popular demand after featuring on the PPU DVD. On the flip current ABC Wisconsin news anchor Roshell Anderson gets a reminder of former soul glo glories. Review: DC archival masters Peoples Potential Unlimited first shone the light on Dwight Sykes and his Jahari project on the must grip Situations cassette late last year, revealing the work of a key player in Michigan's underground boogie scene. Those selectors out there without the means to play tapes in a club setting will no doubt be very thankful to PPU for this 12" that brings together some unreleased demo cuts from Jahari along with a newly remastered version of the superb title track from that cassette. So up top you get two alternate takes on "Fire & Desire" with the studio version a real funk gem, whilst "Situations" sounds all the more sweet and soulful in newly remastered form. Review: Excellent and much needed 12" pressing of Low Altitude from Australian boogie don Mike Kay! Originally surfacing on a limited 7" release through Melbourne imprint This Thing, it's given a wider release thanks to the dons at People's Potential Unlimited with the addition of a further cut from Kay. A Side track "Low Altitude" is a lot more DJ friendly now (ever tried beatmatching 45s?) and has been extended with more handclaps and disco noises from the funkateer Kay himself! If you're a rabid consumer of Tom Noble and Inskwel stuff or digged the Moon B issue on PPU earlier this year then you'll love this 808 boogie bumper. Face down, "Rumble Strip" eases up the tempo a nudge for some slick and sweet analogue disco and the wonderfully smudgy bonus cut "Kyoto Haze" really shows off Kay's melodic chops. Review: If you've ever got a few hours to spare, check out Legowelt's discography - the Dutch analogue fetishist is astonishingly productive (and, of course Legowelt is simply one of Danny Wolfers' many pseudonyms). Here, he adds another label to the growing list with a surprise appearance on Andrew Morgan's Washington D.C-based Peoples Potential Unlimited imprint. Unsurprisingly, Wolfers explores many of his favourite themes on Puzzles in Life, merrily skipping between melodic, bubbling deep house (the excellent title track), slo-mo Detroit futurism ("Video Phone To Space"), super-slo stargazing boogie (the superb "Cruise Till The Sun Shines") and woozy, intergalactic ambience ("Los Alamos Motel"). In many ways, this is an unusual turn from PPU, but it's a calculated gamble that's more than paid off. Review: Peoples Potential Unlimited comes through with more reissue gold! Were you to invest in an original copy of "I Like The Way You Do It" you'd need a spare couple of hundred quid in the sky rocket. PPU present the original sultry boogie version and a Tom Noble edit either side of an orange stickered 12 inch. Review: Moon B takes it back to the old school that is PPU! Atlanta-based analogue funkateer Wes Gray made his debut proper as Moon B back in 2012 on People's Potential Unlimited, and has since found further acclaim with a killer EP for London label Going Good and releases as Vaib-R and Sean Sanders for Nous and Hot Mix. Andrew Morgan's PPU has always been something of a home base for Moon B material however, with several other cross format releases in recent times. The suitably titled II is the second Moon B long player and pulls eight tracks from the home studio recordings of Wes Gray made over the past few years with that signature "slank rhythms and cutting basslines you've grown accustomed to" present and correct! Review: Having come to the fore with a pair of boogie slammers on the Cosmic Chronic label, Mickey De Grand IV's Psychic Mirrors outfit ascend to parent operation People's Potential Unlimited with the excellent Charlene. 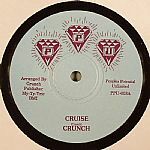 Allegedly recorded with the help of a ten piece live band, both the title track and "Midnight Mirrors" are evocative of the sort of modern lo-fi funk that PPU corners the market in these days. Bringing the Miami heat, "Charlene" is a veritable dancefloor bomb, with a rugged boogie bassline the sort of flirtatious element that hips can't say no to. B Side cut "Midnight Mirrors" is more of a late night number with some exquisite synth work. Props to PPU! Review: It is safe to say PPU boss Andrew Morgan is a fan of Atlanta-based producer Rekchampa, with this limited test pressing edition of his Dream Sequence album arriving the same week as the killer Fried Chicken Skin 12". After a few days rotation on the Juno office stereo, we're the latest converts to the Rekchampa cause! First surfacing on our radar via a NDATL 12" in late 2014, Stefan Ringer has been popping up in a few interesting places ever since; sharing sides with Eliphino on A Love Below 12", appearing under the Black Suede name on the CGI label. This album finds PPU compiling Rekchampa cuts that first appeared on a Harsh Riddims cassette in 2014, complemented by a few bonus cuts from the Ringer studio. These six tracks brandish a style of vocal, soulful house comparable to Moodymann, Peven Everett and Seven Davis Jr but Rekchampa definitely has his own rough-edged vibe going on. Review: Andrew Morgan's Peoples Potential Unlimited label may well have been founded to document the lost and forgotten funk, disco and boogie that peppered the DIY and private press labels of 1980s USA, but their contemporary releases are just as good. See 12"s from the likes of Legowelt, Beautiful Swimmers and Pender Street Steppers for evidence. Fried Chicken Skin adds to this small but deadly canon of contemporary PPU releases, presenting one of two records on the label from Stefan "Rekchampa" Ringer, a Stockbridge, Atlanta-based producer who got his break in late 2014 thanks to Kai Alce's NDATL label. "Fried Chicken Skin" is a bumping, rough US house delight replete with ad-libbing vocals from Ringer himself, whilst "Ride" sees him collaborate with Personal Trainer for a more reduced, deeper cut that will appeal to Sound Signature fans. Review: Midnight Express legend Robbie M dusts off the machines once again struts forth with his third solo album Dance With Me. Taking off where Friend left us in 2014, Robbie lays down a set of timeless west coast soul gold. Dynamic as always; at moment you might be blazing a hot shoe shuffle to the slippery ripples and keytar thrills of "I'm The One Who Loves You", the next we're being eased into the boudoir with his warm harmonies on "Night Without You", the next we're ringing Daft Punk and playing them their new favourite song, the tenderly touched vocoder dual "Rock Me", the next we're putting the needle back at the start and listening to it all over again. Dance with Robbie. Review: Another essential history lesson here from the Peoples Potential Unlimited camp. 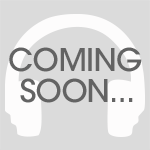 "Super Breaker" is an early production by Miami bass legend James McCauley, better known as Maggotron,DJX or Basstech. It was originally released by the super obscure Bound Sound label in 1984, but was quickly forgotten. As one of McCauley's earliest works, it arguably marks the point where electro began to morph into Miami bass. There are vocal and instrumental versions on this must have 7", both featuring a mix of long synth chords, oh-so thick synth bass and a healthy dose of vintage drum machine breaks. Review: Sporty Cat Dwight Sykes lets loose with a brand new original and super spacy track from last year's album Songs Volume One for the ever excellent Peoples Potential Unlimited!! "If You Want My Love" is straight out of the '80s playbook thanks to its gossamer synths and on-point female rap (that's delivered by his daughter Valerie Sykes). Flip for the filmic synth boogie introspection of "You That I Need". Another must grip 7" from the PPU crew. Review: The archives of Estonian artist Uku Kuut continue to prove fertile stomping ground for the PPU label, with this latest transmission drawing from unreleased material he recorded with his mother Maryn Coote. Coote is quite an established musician in her own right, recording a couple of albums as Marju Kuut, as well as collaborating with compatriot Uno Loop and it's clear her musical background helped shape Uku's formative direction. If you've partaken in any previous Kuut retrospectives from PPU, the four tracks here will be a real delight, with "Mayday" and "Dreamboy 84" particular highlights. The former is an alternate tape mix of a track from the Vision Of Estonia LP issued by the label back in 2012, whilst the latter features Marju's vocals in full swing. Review: Following the superb Visions of Estonia album from last year, estranged Estonian producer Uku Kuut resurfaces on Washington DC imprint Peoples Potential Unlimited with I Feel Love. This two-track EP is yet another perfect example of the label's speciality in dealing with obscure and unknown dance music gems from the '70s and '80s and highlights why PPU is an eternal favourite at Juno HQ. "I Feel Love" sounds like a combination between Todd Terje's heralded disco-edits and the Norwegian's pumping originals, while "Santa Monica Pier" shuffles and slides like Steve Wonder and Ray Charles knocking heads, drum machines, keys and synthesisers in a sun-drenched Californian studio. Review: Originally out in 1985, Peoples Potential Unlimited reissue this soul boogie jam from Uku Kuut (who was born In the Soviet Union, raised in Sweden and now lives in Estonia) featuring Marju Kuut on vocals. On the flip is a mellow instrumental in homage to Uku's home for the past 20 years, now available for the first time on cute 7" vinyl. Top release! Review: Amidst recent praise from a variety of individuals including Ben UFO, Legowelt and the Juno review team, the Peoples Potential Unlimited label keep up the brilliant work with yet another killer disco boogie oddity from the early 80s. This Westwood / Cash twelve is the first of two twelve's from the Washington imprint to switch the focus to the career of Detroit producer Danaan Potts who can count on studying alongside a young Juan Atkins as well as spending close to 100 hours a week studio time alongside George Clinton as influences. Here he adopts the anonymous Westwood tag to add some bizarre P Funk to the delightful Orlando Cash jams "Psycho For Your Love" and "Work Those Joints". Additional PPU tweaks of both make this one of the labels best twelve's to date! Review: Vancouver Dj/producer Yu Su has previously impressed via occasional contributions to the Mood Hut-affiliated Libra Mix series. 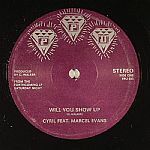 This is the DJ/producer's debut solo release and boasts two high-grade cuts on one single-sided People's Potential Unlimited 12". Opener "Infi Love" is typical of the hazy, dusty and spacey Vancouver deep house sound - all soft focus intergalactic chords, vintage drum machine percussion, cut-up female vocal samples and undulating analogue bass. The jazziness continues on "Soon (MOA Mix)", where wonderfully hazy trumpet samples and horizontal chords trickle down over a bossa-inspired beat. As you might expect, it's seriously evocative and atmospheric.